Available from 1 January 2019 for both multinational companies with employees on assignment in the region and locally-based businesses, the new proposition meets the Saudi Arabian Monetary Authority (SAMA) and Council of Cooperative Health Insurance (CCHI) regulations. AXA's Prestige and Prestige Plus plans have been carefully designed to meet local needs and be consistent with AXA's other global healthcare offerings in the region, namely in Dubai and Abu Dhabi. Combining AXA Cooperative Insurance Company's strong presence in the region and AXA - Global Healthcare's international health insurance capabilities, the plan protects international assignees wherever they are in the world, under one globally recognised and trusted brand. When seeking local medical treatment, the proposition allows members to use hospital networks and cashless facilities in Saudi Arabia, and is complemented by AXA's full global medical network, which gives access to medical treatment when outside the region. Benefits of the plan, which can be customised depending on the size of the scheme, include comprehensive cancer benefits and cover for kidney dialysis as well as mandatory cover for life threatening congenital conditions, pre-existing conditions and new-born cover for up to 30 days. Kevin Melton, global head of sales and marketing, AXA Global Healthcare commented: "As a known destination for foreign investors in the GCC region, Saudi Arabia is a major hub for employees on assignments abroad. What's more, with health insurance now mandatory for all private sector employees and over 12 million expats working in Saudi Arabia, it is a key market for us. We wanted to offer a compliant, multi-layered product which would appeal to both global and local businesses alike. It is a competitive region, but we believe our offering will provide businesses with a level of care which suits their needs, and the needs of their employees." AXA's proposition will complement AXA Cooperative Insurance Company's domestic offering, enabling companies to choose AXA plans which cover both their domestic and international employees. 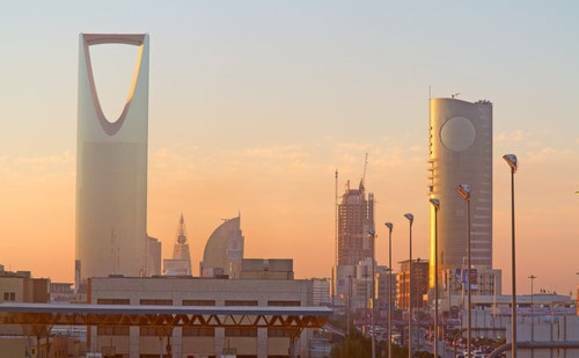 Saudi Arabia's population is currently growing by 3.5% annually and is now one of the largest populations in the region, following recent regulatory relaxations by the Saudi Arabian government to encourage foreign businesses and investment. Kevin Melton commented: "The needs of employees on international work assignments are constantly changing. For instance, our own research has found that three quarters (75%) of employees are more likely to accept work abroad if they can continue to live at home and commute internationally. "We have kept this in mind when designing this proposition, to ensure those covered are able to seek treatment both in the Kingdom of Saudi Arabia or wherever they are in the world. We're offering two cover levels, with flexible benefits for multinational businesses, so this product can also be used to attract and retain key talent, as firms look to engage their globally mobile workforce." Gary Lewin, CEO of AXA Cooperative Insurance Company in Saudi Arabia, added: "We are very excited to be working with AXA - Global Healthcare to offer a proposition which will provide the mandatory CCHI cover both domestically and for those seeking treatment worldwide. This will be a seamless product offering which will allow members to utilise our hospital networks within the Kingdom of Saudi Arabia and throughout AXA's global network."